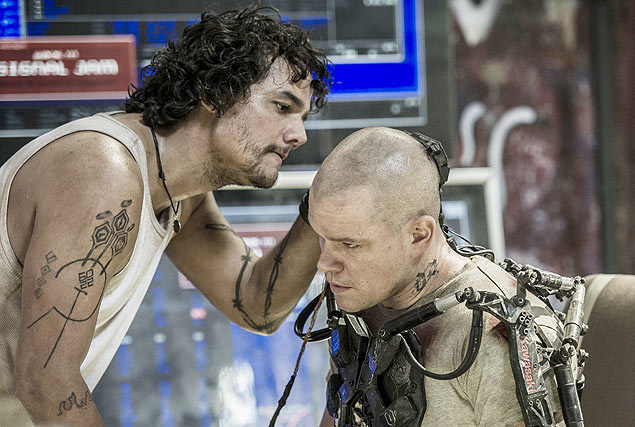 The movie Elysium: trailer, clips, photos, soundtrack, news and much more! 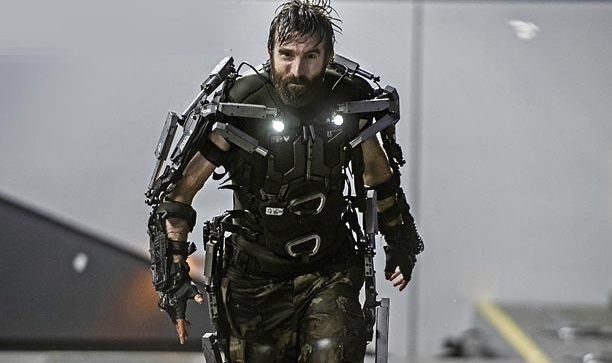 Sharlto Copley and Matt Damon face-off in the upcoming Neill Blomkamp thriller, Elysium. Kruger is unlike any villain you’ ve experienced before. Director Neill Blomkamp is a master of science-fiction: he always come up with great stories and definitely knows how to bring them to life on the big screen. The second clip is not grounded in realistic science. There’s no way a shoulder-launched missile launched would strike that spaceship that fast! And it’s just dumb, why would they ask someone down on earth to destroy the ship? Firing a missile from space would be way more efficient! Anyway, the film still looks awesome! Hell, yeah! 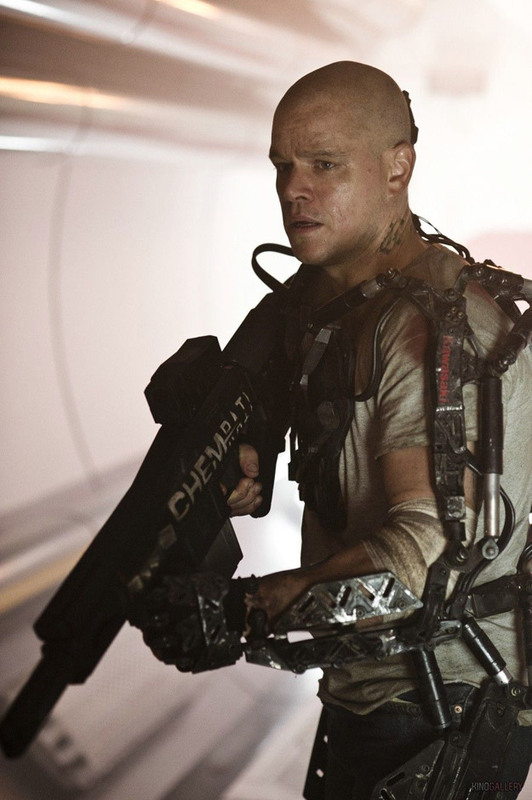 The robot has been broken to tiny pieces: Matt Damon rules! Where can I get a gun like that? 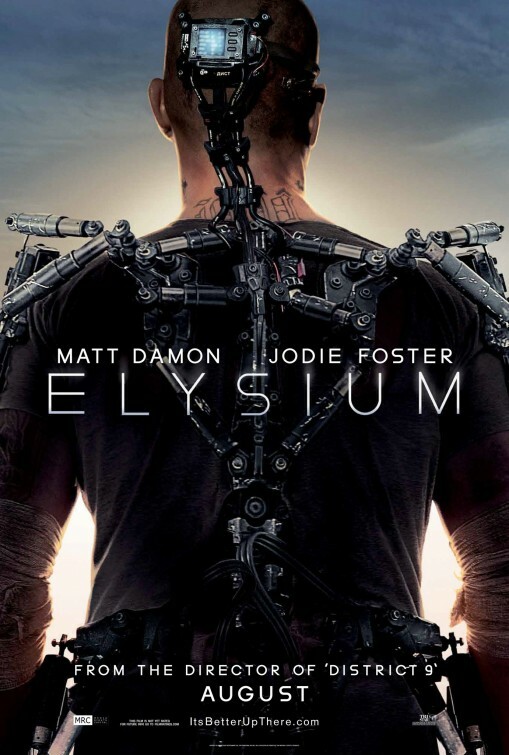 Elysium – It’s time to change veything. The film is set to hit theaters on August 9, 2013. Hard to differentiate a robot bureaucrat from a human one, isn’t it? Is this progress? 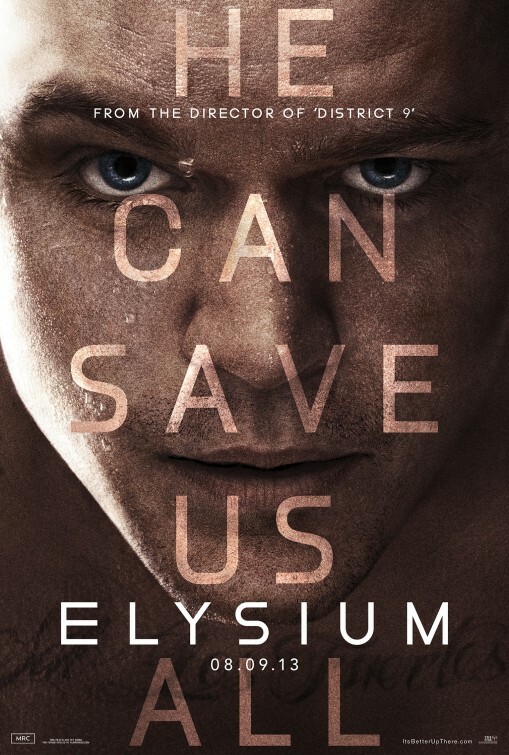 Elysium – He can save us all! He cans ave us all. 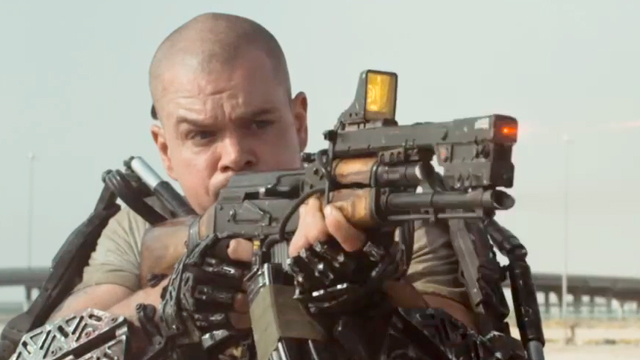 In the world of Elysium Earth has transformed into a living hell… and Matt Damon is intently going to bring some of that hell to the awesome space station Elysium. Does that make him a savior or a barbarian Vandal? In theaters: August 9, 2013. Let’s hope the doomsayers will be proved wrong! Dystopian worlds make for great entertainment, but I sure don’t want to live in one! Do you? Mosaic posters are a hot marketing medium to promote in Hollywood! The ghostly circle in the background is actually Elysium, a pristine man-made space station where the very wealthy may enjoy life away from the earthling populace. In theaters; August 9, 2013. 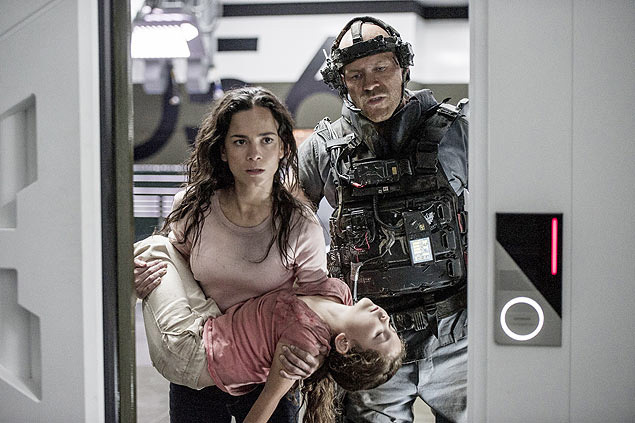 Once again Director Neill Blomkamp delivers a great science-fiction movie that combines awesome visual effects, great acting, and last but not least, a compelling story! Blomkamp is the new Spielberg! Elysium just confirms his talent. Can’t wait to see the film! 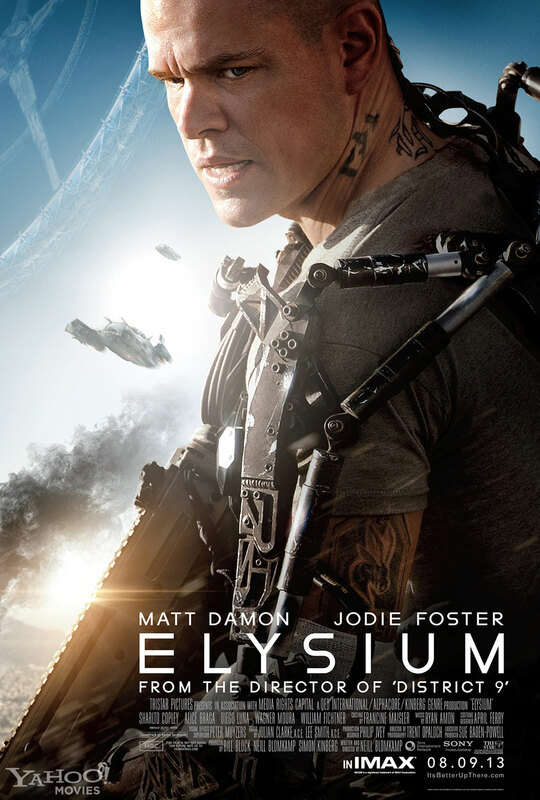 That space station does look amazing, but it obviously can’t accommodate all of mankind… They’d better all work together to fix Earth… Anyway, can’t wait to see Elysium! 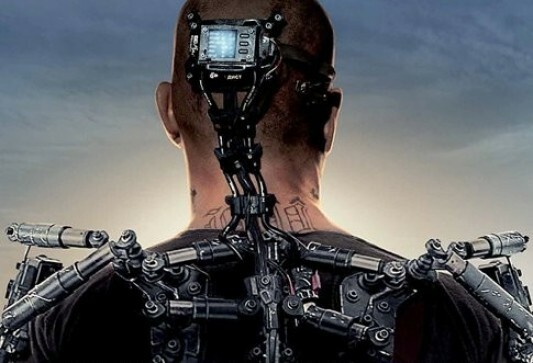 The film is written and directed by Neill Blomkamp, the guy who brought us the awesome science-fiction movie District 9. The privileged live on Elysium: no poverty, no war, no sickness. 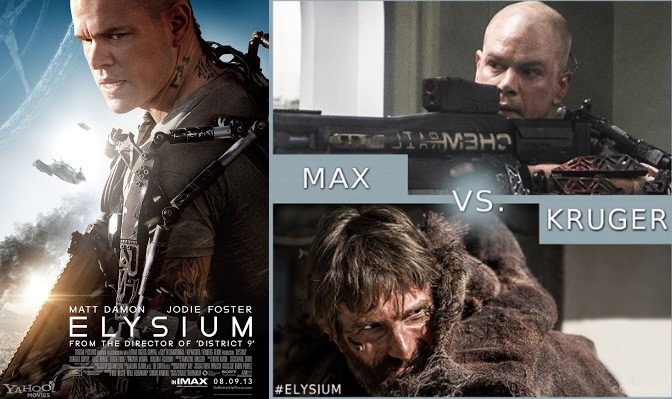 Director Neill Blomkamp is back with yet another great sci-fi movie, can’t wait to see Elysium, am totally hooked by the trailer! Besides Matt Damon, the cast also includes Sharlto Copley, Jodie Foster, Alice Braga, Wagner Moura, Diego Luna, and William Fichtner. 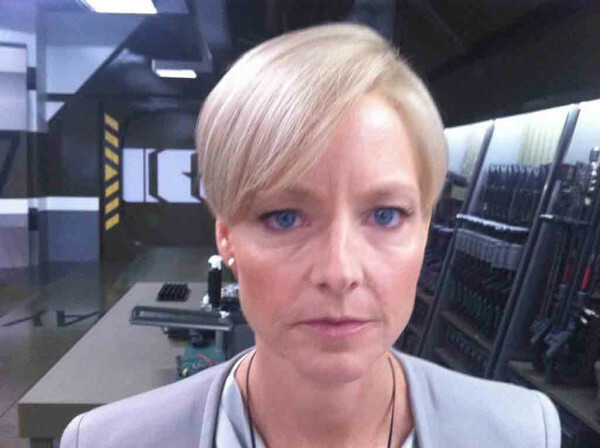 Actress Jodie Foster plays the role of Secretary Rhodes, a government ofﬁcial, hellbent on enforcing anti-immigration laws and keeping the luxurious lifestyle of the citizens of Elysium. 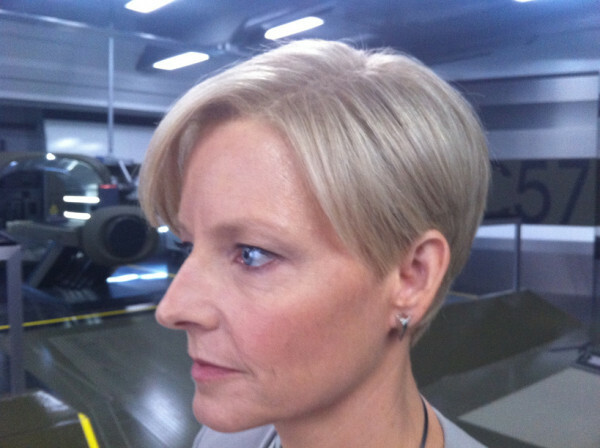 So she’s playing a Republican? 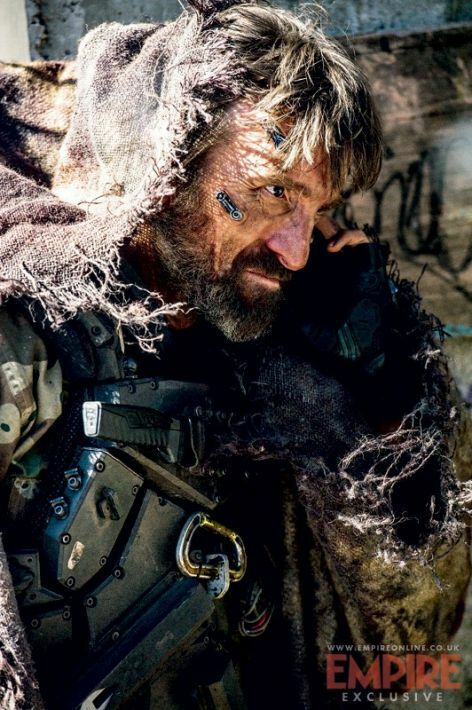 Sharlto Copley plays the role of Kruger, a dangerous bounty hunter on the trail of Max, the character played by Matt Damon. 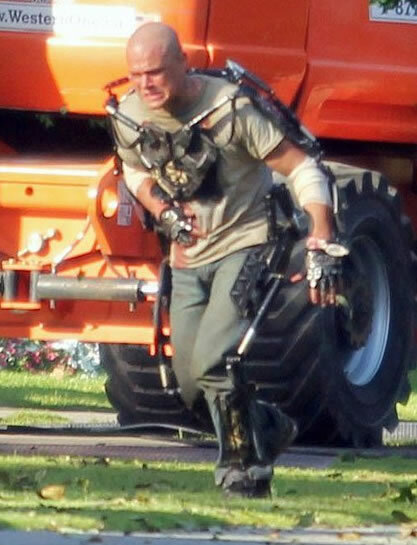 Looks like the exoskeleton Matt Damon is wearing was built by Kawasaki! 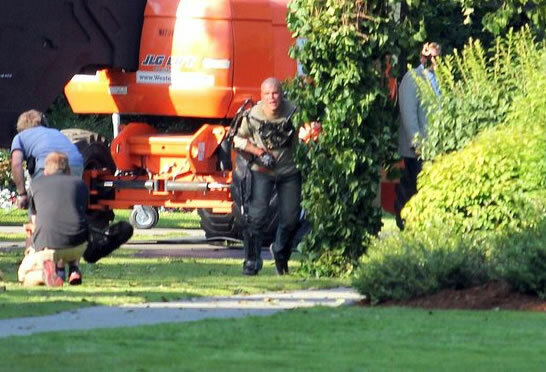 Anyway, the release date of Elysium is set for August 9, 2013. 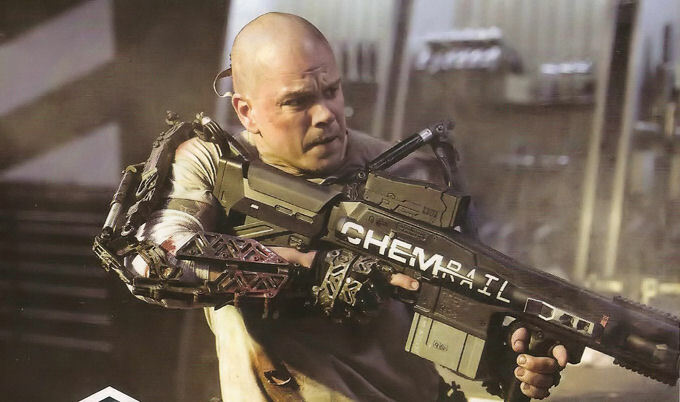 I wonder why Matt Damon is wearing an exoskeleton.